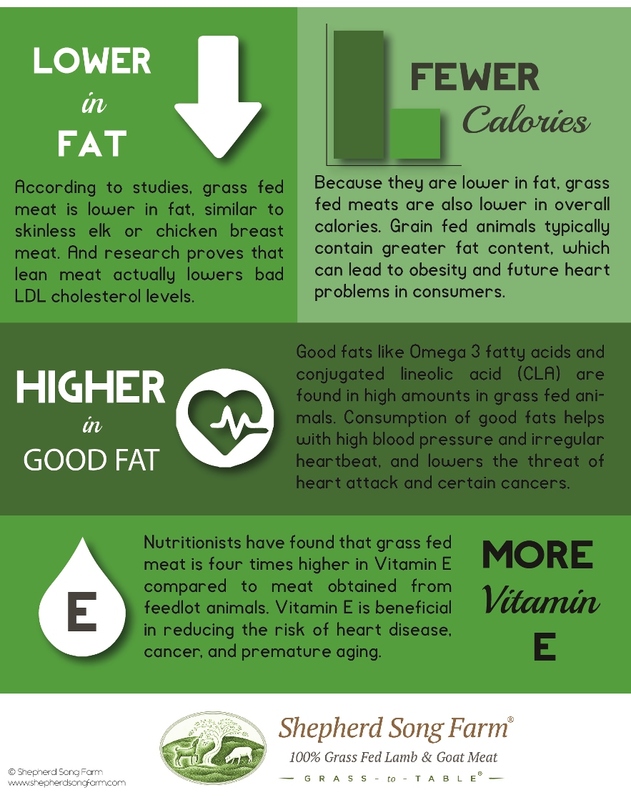 Grass fed meats have many health benefits. A few of them include higher levels of the healthy Omega 3 fatty acids and conjugated lineolic acid (CLA) both found to lower the risk of certain cancers. 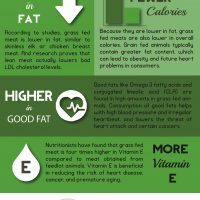 Nutritionists have found that grass fed meat is 4 times higher in vitamin E compared to meat found in feedlot fed animals. Why would this be surprising? Animals eating foods nature intended have fewer digestion issues, grow at without storing excessive fats, and express behaviors innate to their species. Read more in the below infographic.